The wheels on Netflix and Marvel’s crossover event The Defenders have begun to turn: Marvel has announced that the creative team behind Daredevil will steer The Defenders when it enters production later this year. Daredevil season two showrunners Marco Ramirez and Doug Petrie will run Defenders in a similar capacity, while Drew Goddard, who worked on both seasons of the show, will executive produce. It makes sense—Daredevil is arguably the “main” character of this Netflix universe, so it’s not really surprising that the team behind his own solo series will helm this crossover. But it does call into question just when we’ll get an as-yet-confirmed third season of Daredevil. 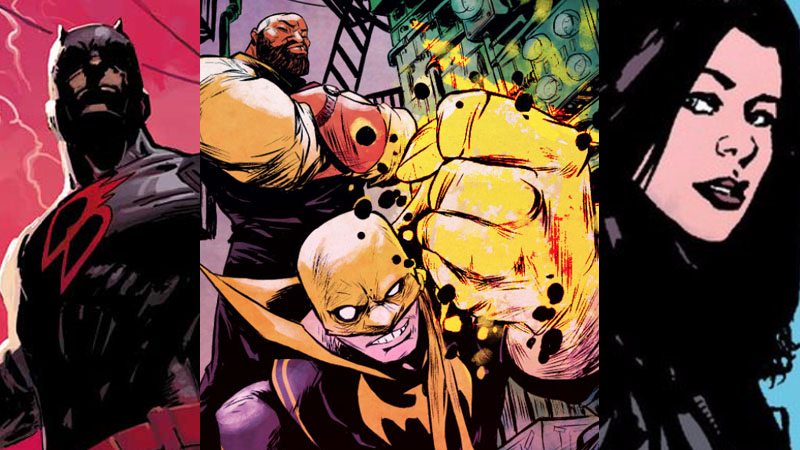 If Netflix continues its two-a-year pattern for Marvel shows, we’ve got Iron Fist early next year, presumably with Defenders in tow for later on in 2017. Jessica Jones season 2 is the only other confirmed show for now—could it be late 2018 before we see the Man with no Fear on his own again? It certainly seems like it.